That’s sort of what life has felt like lately. Not that I’m complaining! 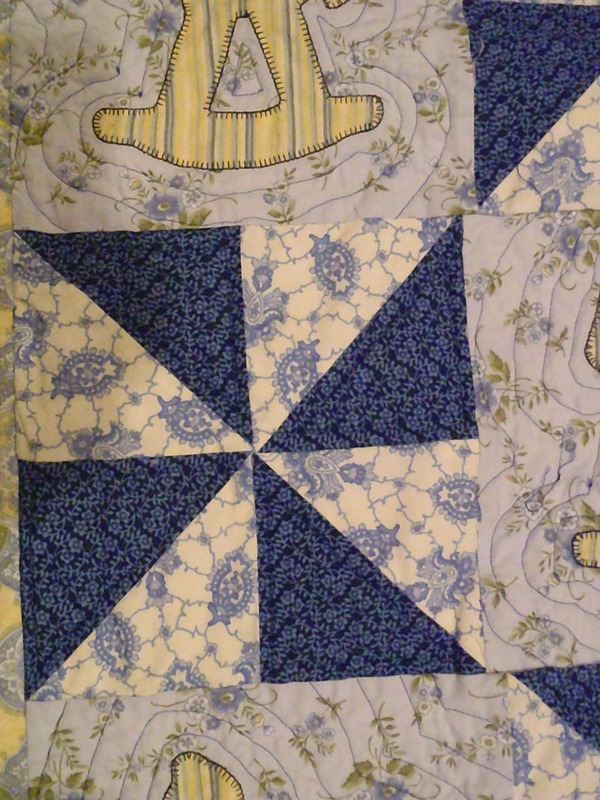 My aunt has requested a couple more quilts for her shop, The Avalon Tea Room, in Stillwater, MN. (You should go! They have an amazing chicken salad croissant, outstanding quiche, and awesome desserts! Oh! And TEA!!) 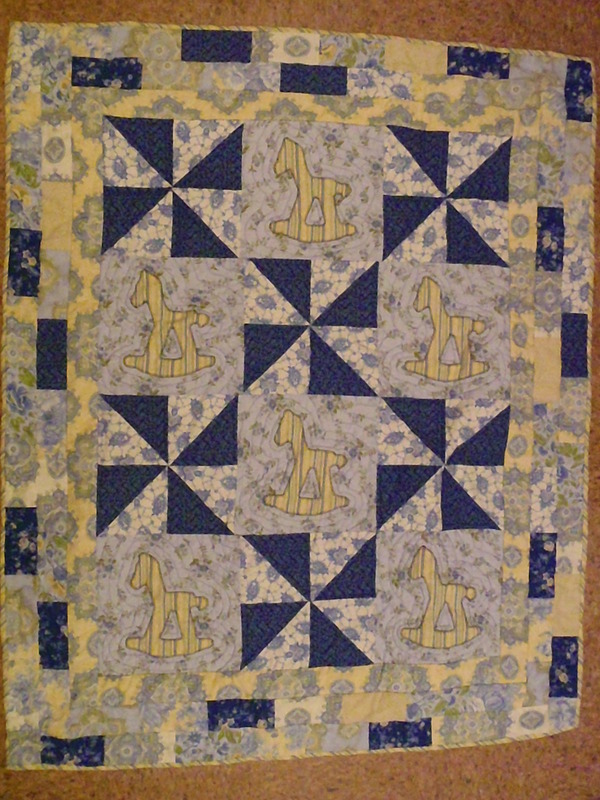 I’ve created a second version of my Pinwheels and Ponies quilt and I’ll be sending my Small Pinwheels quilt I made, but didn’t sell, for my December show. 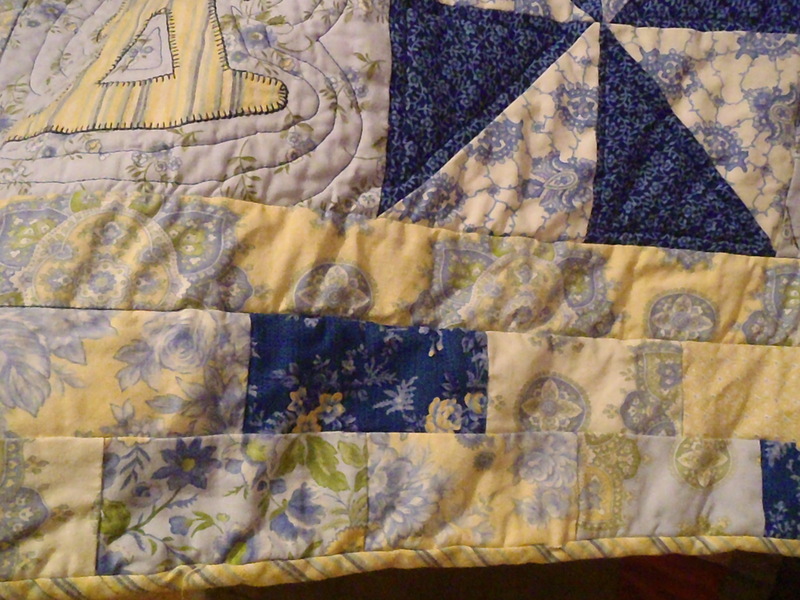 But my next five projects are: 1) a girl-themed baby quilt for some dear friends of mine expecting their first child … um … any day now; 2) a commissioned springy colored/patterned quilted shopping bag; 3) a commissioned brightly colored throw for a three-season porch; 4) a springy-themed Crazy 8 quilt to be sold later; and 5) a wristlet handbag. There are more, Ooooh yes, there are many, many more projects lurking on my fabric shelves, but this is the order and schedule I’m focusing on right now. I’m hoping this will take me about 4 to 6 weeks. And then I’m going to give myself permission to play. 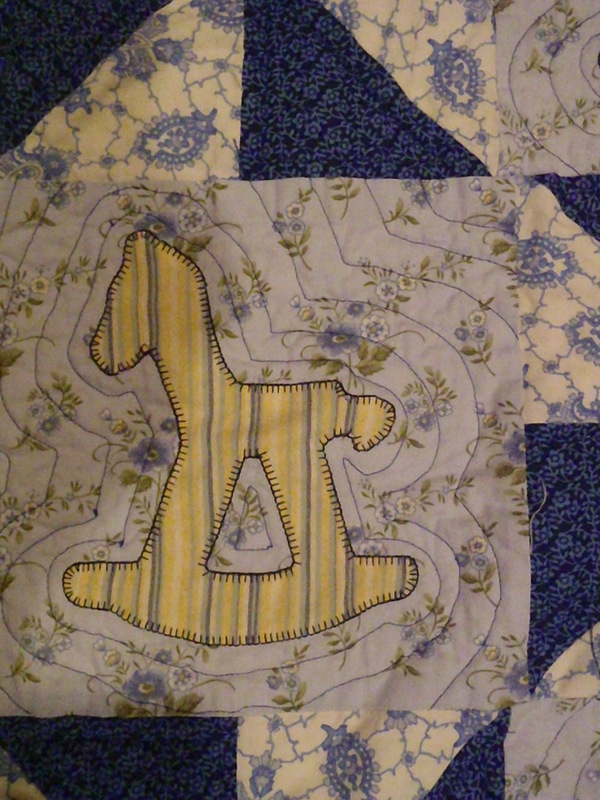 My neighbor, Cate, gave me a couple of outstanding quilting books. 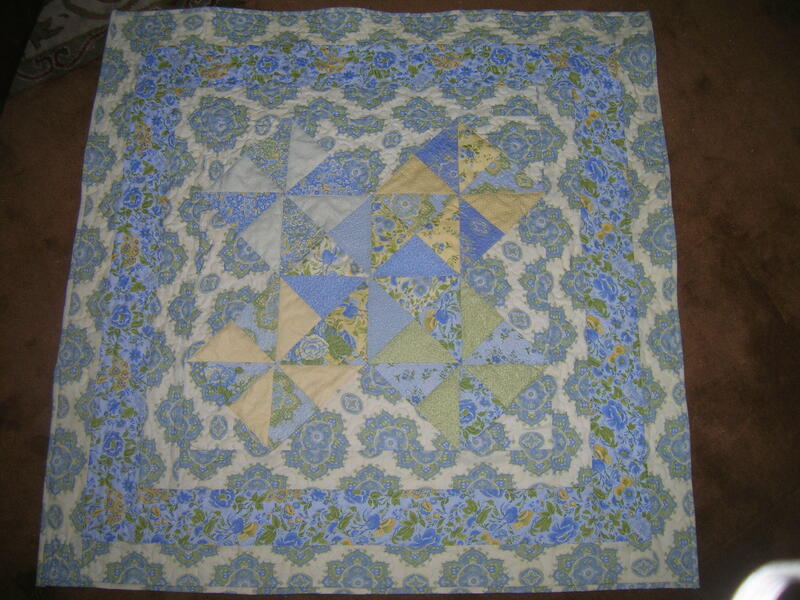 I’ve been reading them and learning all about crazy quilting with a foundation, quilting with hand embroidery work, and developing free-form patterns. 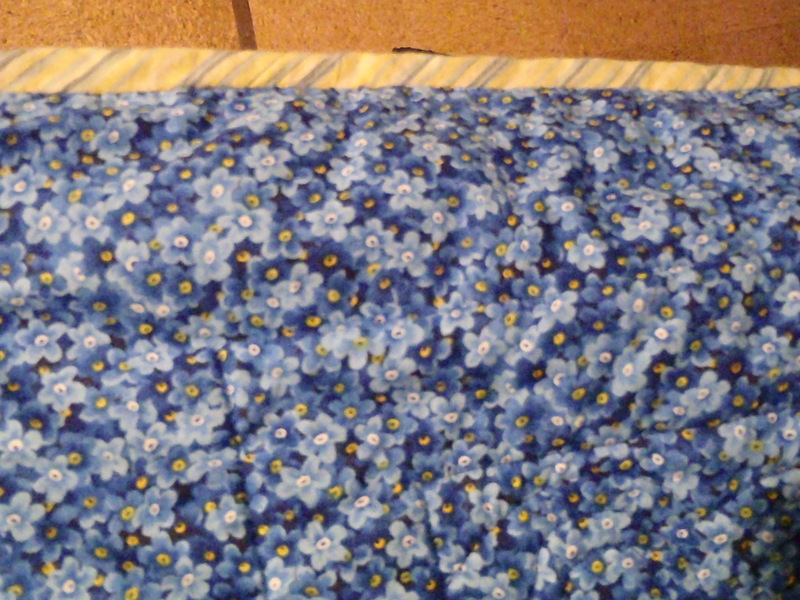 I’m really, really excited to try to create my own free-from pattern and then embellish it with some embroidery work. I have an idea for a bonsai tree and a setting sun. I’ll have to sketch it out, hide that sketch from my children who routinely like to make “improvements” to my drawing projects, and then take the time to make template pieces. I am very happy to be so busy in such a creative way. I’ve always liked to draw and make things. It used to be that my only creative outlet was baking. This is decidedly lower calorie. I still bake and I love it in a totally different way. In fact, watch this space in May for pictures of the birthday cake I make for my little H. I’m going to experiment with FONDANT! !